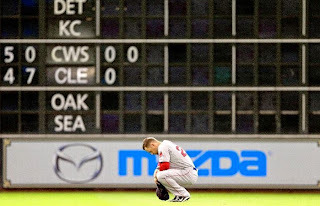 In a season that started with the celebration of a championship last season, there was expected to be some sort of hangover, yes the Red Sox went on a bender last October that culminated in a World Series victory, but the hangover was expected to fade at some point. At the All Star Game Break, the season has felt like a little man sitting inside ones skull with a hammer pounding away at the brain. Headache after headache and what seems like mistake after mistake. The Red Sox have a record of 43-52 and are 9 games back in the AL East, could be 8.5 if the Yankees win tonight. 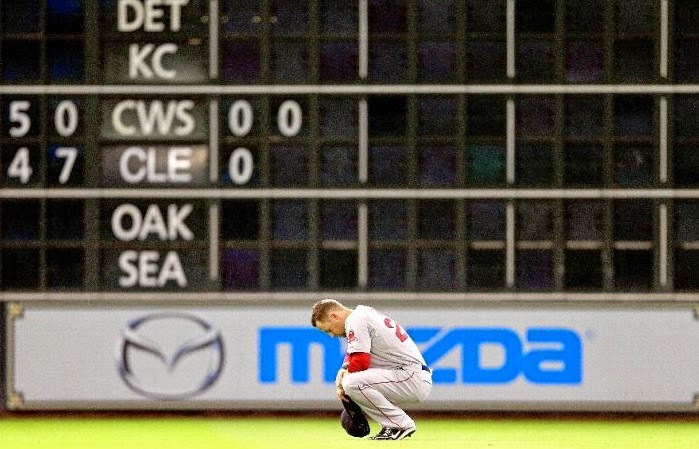 The season has been bad, almost difficult for many fans to watch, so lets look at the bad, some of the good, and the really ugly the 2014 Red Sox have had to offer. Lets start with the ugly. The ugliest has been AJ Pierzynski, an off-season signing that has not meshed with the pitchers. 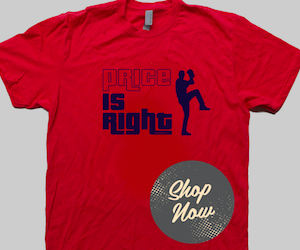 He never embraced the Red Sox hitting philosophy of taking pitches at the plate and was a cancer in the clubhouse. He was expected to work with pitchers and develop youngsters when they would be called up to the big leagues, but instead he has done the opposite and has not helped at all. It's been so ugly that the Red Sox had to send him down to the minor leagues just to get him out of the clubhouse. Run support has also been ugly for the Red Sox, Jon Lester is 9-7 in 19 starts with a 2.65 ERA. Lester could easily have 12 wins this year but with the lack of run support he gets when he is on the mound he only has 9 wins. The Red Sox have also had a lot of bad, one example being Xander Bogaerts, especially in the last month. Expectations were high for the youngster especially after the postseason he had last year, expected to be the everyday short stop he got off to an average start before falling off leading the Red Sox to sign Stephen Drew. In the last 30 days Bogaerts is hitting .115, and .132 in his last 10 games. His at the plate struggles have been bad, hitting .235 with only 6 home runs and 22 RBI's. The Red Sox outfield has been atrocious this season, its a constant rotation of players, almost all of them who have under-performed. Victorino has spent more time on the DL than he has on the field, Daniel Nava has spent time in AAA, Grady Sizemore was an experiment gone extremely wrong and Jackie Bradley Jr. has not been the replacement in CF that the front office thought he would be. The good from the first half may be the shortest of all three topics, as there has not been much good. David Ortiz has been good, somehow as he continues to get older he still continues to produce. At 38 years old he has hit 20 home runs tying him for 9th in major league baseball. Ortiz also leads the team in RBI's and has drawn 53 walks on the year. The other good is this youngster Brock Holt. A mid-season call up who had everything to prove has been a superstar. In fact he has lived up to his twitter handle @BrockStar4Lyf and Brock is truly a star. It seems he can play any position that he is asked to do, both the infield and outfield. Holt is also one of the best offensive producers, in 61 games he is hitting .327, has hit 4 triples and has 22 RBI's. His versatility has proven that he is a valuable asset. 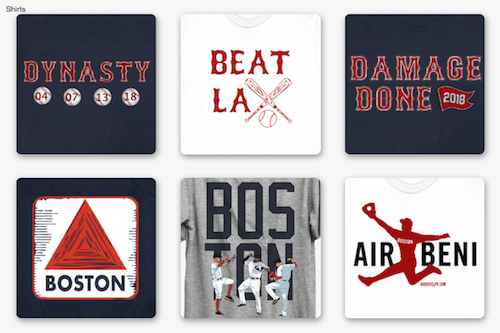 If the first half of the season is any indication, the Sox don't have a chance this season but they do have a few bright spots in their youngsters and Big Papi. There has been a lot of talk about if the front office should start trading players, whats your thoughts on that? Is it time to give up big names to try and get big names in return or stick it out for the season? Leave your answer in the comments below. Make sure to check out what I have to say on twitter or check out my fellow writer PJ who has a superior knowledge of sports by looking at his twitter here or checking out his last article here.